Report: Set Your Priorities & Vision for Your 2012 Success! On Feb. 21, 2012, "Set Your Priorities & Vision for Your 2012 Success!" was presented by Maria Cristini, certified Professional and Personal Life Coach. At the beginning of the talk, Maria described what life coaching is and a story of why she became one. She explained that coaching is about imagining a better life, setting goals and achieving them in an organized and effective way. The first method of figuring out a goal is to set aside "should do's" doubts and fears. Ask yourself, what do I want to do, what do I love doing, and what would make me excited to have done in 2012. The job of a coach is to ask many questions and be a sounding board for the goals, desires and doubts we all have. The body of Maria's presentation was to have all of the attendees do an exercise together. We would choose one of our 2012 goals and set a strategy for achieving it. She handed out a sheet with an image she called "The Wheel of Life". It is a circle with pie slices each representing an aspect of life. The categories were: Career, Finances, Heath and Fitness, Friends and Community, Family, Significant Other, Personal Development, Spirituality, Fun and Recreation and Physical Environment. As an attendee, I'll say that a great benefit of having this wheel is that it makes you see the parts of your life and you immediately start to think about them. On each slice, we were asked to write down some goals. We would then be asked to choose one to focus on for the remainder of the session. The second page of Maria's hand out was a sheet that stated: "At the end of 2012, I will be celebrating___" Including a space for a theme, and the year's top priorities. A third sheet was titled "Breakthrough Goals". Breakthrough goals are unique to each situation and allow you to move past a sticking point on the path to achieving the main goal. If you create a set of breakthrough goals, it divides the big goal into smaller achievements thereby assuring success with the big goal. She divided us up and we had to choose the goal to focus on for the session. We wrote it out on the celebration sheet, listed breakthrough goals, our priorities and then listed the reasons why we wanted that goal. After discussions in smaller groups, Maria had volunteers share their goals with the whole group. Following more discussion, several other attendees shared their goals as well and there was discussion until the end of the program. In summary, the presentation gave us a clear methodology for accomplishing things in our lives. The handout is a blueprint for any goal, any time, and we were encouraged to continue to flesh out more goals on our own. This event will take place April 12, 2012 from 6:00-7:30 PM at the AIA East Bay, 1405 Clay St., Oakland, CA 94612. Keeping your client happy. Hear what the clients’ priorities are. Understanding your client’s decision making processes, their financial processes, and schedule and budget tracking. Know your client. Know your project thoroughly. Interviewing for the job. How to get an interview, conduct the interview and follow up. What does it take to be a 21st century architectural firm? What are some of the positives and negatives that Owners’ Reps have experienced in their work with Architectural firms? Alicia Rosenthal AIA, LEED AP is a currently a Senior Project Manager at UC Berkeley Capital Projects. She held project management positions at the University of California, Los Angeles, California Science Center and Los Angeles County. Prior to her project management career she practiced and taught in Los Angeles and Buenos Aires. Alicia holds a Master’s degree from UCLA Architecture and a BA equivalent (“Arquitecta”) from the University of Buenos Aires. 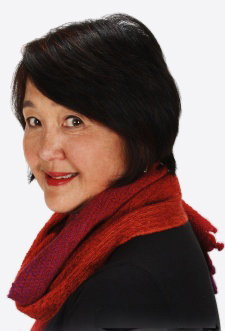 She is a past President of the Association for Women in Architecture and of the Association for Women in Architecture Foundation and a member of AIA and OWA. Kathleen Cruise is Senior Asset Manager at Region 9 Pacific Rim in their Portfolio Management Division. She is a LEED AP, a licensed architect and general contractor, a FAC PPM/Expert and hold a five-year Bachelor of Architecture degree and MBA. Kathleen is a recognized opinion leader in sustainable development. Kathleen had decades of building industry accomplishments in private practice and with leading organizations. While at PG&E, she developed the award winning Pacific Energy Center which displays and demonstrates energy efficient technology and design techniques. Kathleen was a loaned executive from PG&E to DOE for the Clinton/Gore Greening of the White House Project, attended the first USGBC meeting and was mentioned by the founder in his autobiography. She led both Stanford and Microsoft to more sustainable practices. With GSA for over six years, Kathleen is a Sustainability in Procurement Fellow. Kathleen is a Senior Asset Manager in the Pacific Rim Region in San Francisco. She works with the Los Angeles Service Center and leverages her utility industry understanding to build partnerships with utilities and to advance best high-performance practices on major projects including the Wilshire Federal Building and the new Los Angeles Courthouse. Kathleen is a Washington, DC native whose heart and green home are in San Francisco where she swims, bikes, runs, gardens and, best of all, grandmothers. Judy L. Rowe, FAIA has four decades of experience currently as a Team Manager with Kaiser Permanente and previously as a firm owner. 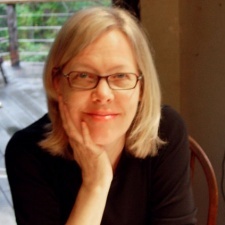 Joanne Winship, architect and former client’s representative for the City and County of San Francisco’s Juvenile Hall Replacement Project, and former Director of Cultural Affairs for the San Francisco Arts Commission which performs civic design review for approval of City funded projects. Margaret Sheehan, Architect, principal of Sheehan Architects. She has served as Project Management Consultant and Owner’s Rep to individuals and corporations, since 1991. Suzan Swabacker, Architect and Construction Manager. She has worked for 3 large architecture firms and 2 major general contractors. As the Owner’s Rep/construction manager she coordinates with all players on a job site including the architect, engineers, general contractor, public utilities, and the owner’s staff. Projects include hotels, a shopping center, and senior retirement centers. Moderator: Cameron White, Architect and Senior Project Manager for Kaiser Permanente. She has 34 years of experience, including 12 as an Owner's Rep. Please note the tour trail is unpaved, thus this hike is not wheelchair accessible. Further hike details and Oliver Ranch specifics forthcoming upon confirmation of reservation. 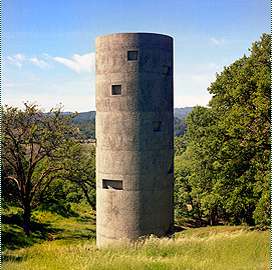 Oliver Ranch is located in the heart of Sonoma County, 70 miles north of San Francisco, and known internationally for its wineries and scenic pleasures, the Oliver Ranch is home to 18 remarkable site-specific installations; the most recent of which is Ann Hamilton's The Tower where commissioned dance, poetry, theatre, and music performances take place. The picturesque 100-acre property was bought by Steve and Nancy Oliver in 1981. The ranch's evolution from exiled sheep quarters to world-renowned sculpture ranch was gradual and organic, a natural convergence of the Olivers' longstanding passion for art and deep connection to the land. The ACF (Art at the Cheese Factory) enhances the art experience in Marin County by presenting new art of high quality and artwork designed for specific sites. With our 2011 "A Season of Water" we entered a new phase of exhibiting art in a variety of public spaces, inviting venues, curators and artists to participate in an outreach program of exhibitions & events. It is our mission to contribute to the availability of contemporary work so that the public will have ready, often unexpected access to the art of their time. In case you missed this, Arch Daily, a well-known architecture blog, posted this "Infographic" on March 14, 2012. Its very interesting. This book and the previous three books read by the circle are listed and linked to circle discussions on the web site under Resources/Books and are available for short loans to members. Call Wendy Bertrand at 415-648-2713 for arrangements. Fresh off the press, this book was recently published by Jovis (Press) in Germany and available translated into English as of December 2011. The publisher found OWA on the Internet and made contact with the organization. The Book Circle appreciates the opportunity to read and discuss this book in such a timely manner. 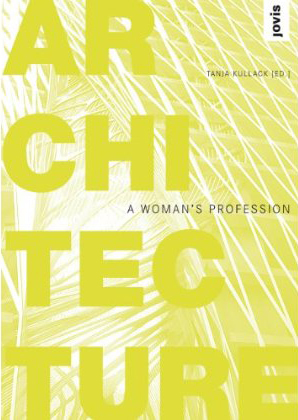 The subject of the book is architecture and architecture as a woman’s profession. Sixteen eminent women architects and city planner discuss twenty-two architectural and urban planning topics; they come from eight different countries. Perspectives presented are not distinctly feminine or masculine. However, “as Monica Ponce de Leon points out, there is an evident difference in the debate on gender in relation to the profession and on gender in relation to design.” Some of the poignant and interesting topics include viewpoints in architecture, authorship and genius, difference and diversity, leadership, education and academia, success and career and conditions, in other words, women in architecture, discourse, and much more. The intent of the book is to inspire and to stimulate thought and conversation. The book is organized by topics. 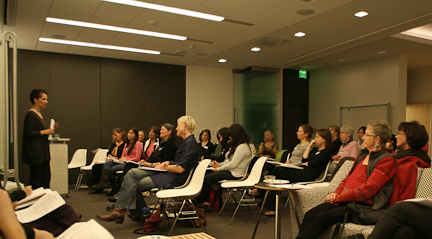 Each topic is presented to a number of the women architects without the limits of a rigid structure. Each architect is left to interpret the topic freely and respond with little direction. Interspersed between topics are portraits of the authors and gorgeous photos of completed work. Wether or not to respond to the twenty two topics seemed random; they were given the opportunity to discuss multiple topics with the exception of Jennifer Wolch, Dean at the College of Environmental Design at UC Berkeley, who wrote an essay titled, “Women, Architecture, and Design Activism.” Nasrine Seraji was the only one to speak on the topic of transgression (crossing over into prohibited territory). She recommended seeing the film The Associate to understand the concept. 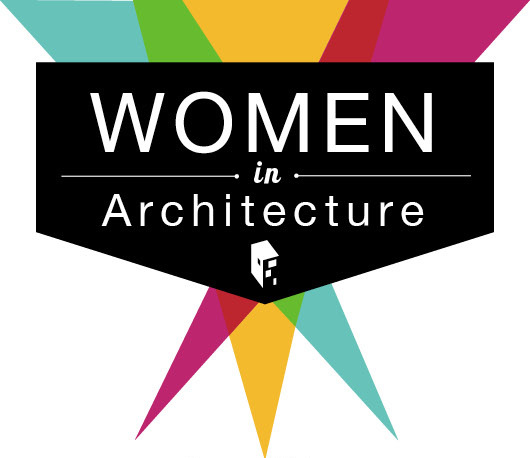 A partial list of women architects participating in this collection of Architecture: A Woman's Profession include Barbara Bestor, Caroline Bos, Alison Brooks, Elke Delugan-Meissl, Jeanne Gang, Lisa Iwamot, Fuensanta Nieto, and Yui Tezuka. The Book Circle sat down, after a good soup, on the night of January 23, 2012 and enjoyed a lively discussion of these topics ourselves and evaluated the structure, effectiveness, and quality of the book. As a generator of thought and debate, members of the book circle were asked to select two topics of our choice that are dear to our hearts or most relevant to our experiences as practicing women architects and planners. There was commonality in topics selected by several members of the book circle. Thoughts on leadership, on respect, and on communication overlapped. On leadership, members expressed a similar desire for schools and professional organizations to teach or share experiences of successful leadership. How and when to take charge, express opinions, give recognition due, empower others, and practice at varying levels of leadership could be folded into an architectural education. The three paragraphs under this topic addressed the authority of a position in a university, probably because these architects all work in academia. On respect, members consistently focused on respect for the architectural profession rather than personal respect as woman architects. The lack of respect for architecture stems from the general lack of awareness of what architects do. Not only the general public, but also even the client to whom architects are providing services might have a misconception about the skills included with the services. Perhaps, lack of communication contributes to this lack of respect. One member believes a lack of emphasis on communication can be traced back to our education. In the book, a similar sentiment is expressed; “a scheme that is produced within two weeks is based on fifteen years of experience, but the fee is based on the two weeks” (of the actual competition), said Alison Brooks. Finally, on communication, members emphasized the importance of clear and persistent communication. Some suggested that the ability and the need to communicate is not gender specific while others pointed out that men seem to get the floor more easily, speak louder, and get listened to more consistently than many women. How we experience the profession varies even within our own intimate group. Differences of opinions were expressed in gender discrimination in the profession and in design. Aligned with sentiments expressed by architects in the book, there is a majority consensus, within the book circle, on the difficulty of recognizing systematic discrimination problems in the profession. However, not all members agree gender specific issues are applicable today. 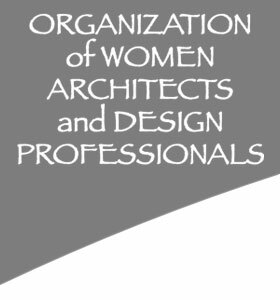 In some cases, gender discrimination is not experienced until later in a woman’s career, when responsibilities grow; this experience is commonly expressed in the book circle and woman architects contributing to the discussion. Furthermore, we see many of the women authors are involved in academia; it is a place of influence and a place of discovery. Jennifer Wolch ended her essay suggesting that new women graduates may need to go outside of the traditional path to find meaningful architectural work. On authorship, the architectural historian among us did more extensive research into this topic: specifically, who in a partnership between a woman and a man receives credit for their work, in the past as well as in the present. There are known cases when a woman was denied credit for her work on projects. An example is Fred Langhorst rarely credited his wife Lois, who later reinvented her career as an architect in leading Bay Area firms and a professor after their marriage failed. In the book, opinions range from taking ownership of a project as in having a strong emotional investment in the work to that sole authorship is outdated in architecture. Architecture is a collaborative effort and the further a project precedes the more the sole author steps into the background and the team effort becomes predominant. However, none of the writers here mentioned how participants in a design project and execution were acknowledged. Only one woman mentioned that the legal liability rests with the architect of record and therefore that person needs to be mentioned. The above summary is a sprinkling of topics presented in the book. As an overall recommendation, members of the book circle believe this book is a worthwhile read. We didn’t walk away feeling the book had explored each topic thoroughly. While the format of the book creates a lively discussion of selected topics and a vibrant book layout, it is quite difficult to get a good impression of individual women and their work. Most of the members would have preferred a slightly different format with more biographical information in combination with the portrait and relevant project architectural photography and drawings. However, it is an enjoyable read and meets the intent of the book to inspire and stimulate thought and conversation. We are left with the feeling of having participated in an informal coffee house conversation with distinguished minds of our field on a multitude of subjects poignant to our times. That is an enriching experience in itself.